If you love to update your home to reflect the changing seasons, today’s guest post has some lovely ideas on how to bring the marvellous Autumnal colours indoors. Enjoy! The Autumn months generate a variety of beautiful, natural colours caused by the change in our English weather conditions that make our gardens look beautiful throughout the season. The changing tones of the great outdoors can be reflected inside your home as well as outside. You can capture the autumn splendour by experimenting with your home décor in a variety of creative colours reflecting in everything from furniture to bedding materials. Here are five easy ways you can ensure that your home will get into the spirit of the autumn season. 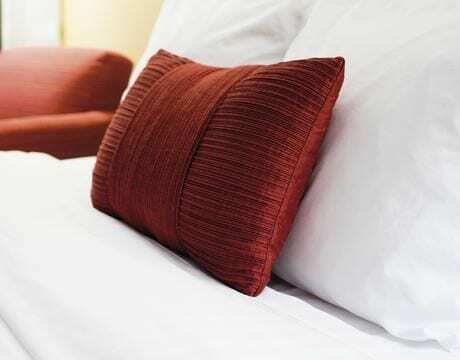 Decorative pillows and throws are ideal for maximising your home with autumn tones. Beautiful golden yellow pillows can conjure up the image of fallen leaves to create for a burst of light amongst the many darker shades synonymous with the season. Bed runners look gorgeous in the autumn, especially when situated near windows where their range of shades can accentuate the many tones generated by those beautiful autumn sunrises which bring a refreshing aesthetic to the darker surrounding shades of the autumn setting. Nothing captures the tone of rustic autumn months quite like wooden furniture. Oak furnishings perfectly reflect the humbling yet quintessentially English tone of the season, while invoking imagery of strong English oak trees and fresh earth to create a calm and relaxing aura in contrast with the fast paced tone of the summer period. This furniture also compliments the use of light pillows and throws, effectively establishing a stunning mix that will lift the whole atmosphere of your home. Coffee tables and rocking chairs are especially good at capturing a beautiful, rustic autumn look which is simple to construct yet highly affective in appearance. The bedroom is an ideal place to reflect a seasonal autumn look. Bed linen has a major affect on the seasonal beauty of your home, especially when designs that feature little to no pattern designs are used. This includes deep solid colours that reflect the calming yet wondrous dusk sunsets we experience in Britain, such as deep reds and blues. Bed linen of this kind will also help provide moments of colour amongst the familiar darker tones and is perfect for contrasting against the solid browns of oak furnishings. 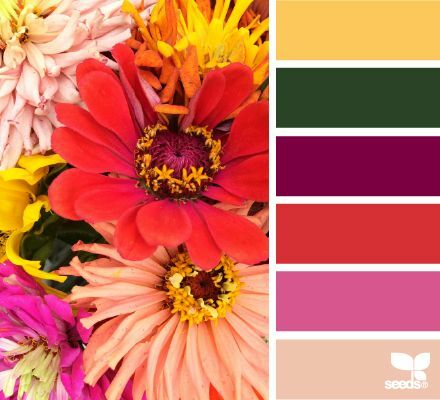 While having autumn colours situated throughout the home via a range of separate colours schemes is a beautiful approach, a perfect way to capture the beauty of the season is to mix all these different colours together in the form of a stunning autumn flower arrangement. This is achieved through the inclusion of a range of different flower varieties that each bring a unique look to the stunning ensemble. Chrysanthemums and Dahlias create striking orange and red shades that look ideal in the living room alongside wooden furniture, while smaller arrangements that boast a green and dark brown shades, such as those featuring autumn plants like mapal leaves and conifer cones that are ideal for creating relaxing tones in the bedroom. Embrace an autumn setting in your home today and enjoy all the comfort and beauty the season offers.